A guide to who’s who and what’s what in the State Duma elections on Sept. 18, 2016. The last time Russia held a parliamentary election, in 2011, the capital erupted in mass protests. The authorities responded by cracking down on dissent at home, and embarking on full-blown confrontation abroad. On Sept. 18, Russians return to the polls. This time, nobody expects street protests or anything but a Kremlin victory. But that does not mean the Kremlin has forgotten about 2011. President Vladimir Putin’s deputy chief of staff Vyacheslav Volodin, the Kremlin’s man in charge of this election, has been telling the cameras all summer that this will be the cleanest vote in Russian history. In a way, it will be. Ella Pamfilova, the new head of the electoral committee, says she is determined not to play into the hands of the ruling party and promises the vote count to be fair. In a scene unimaginable just a few months ago, Russia even saw its former prime minister turned opposition figure Mikhail Kasyanov take part in a live debate on state television. Arch Putin foe Mikhail Khodorkovsky, an oil tycoon who spent a decade in a Siberian prison, was even allowed to finance 18 candidates as part of his Open Russia initiative. But these are signs of the Kremlin’s confidence rather than its openness and do not make this election any less predictable: No matter what happens next week, United Russia will secure its victory. Russia’s “systemic opposition,” the political parties who make the Duma look pluralistic but in practice support the Kremlin, are expected to break the 5-percent barrier to enter parliament. Meanwhile, the liberal opposition has been divided by scandals and infighting in the run-up to the vote and is unlikely to make real inroads. Russia’s most famous Kremlin opponent, Alexei Navalny, was banned from registering his political party. Even with the opposition in such disarray, however, the authorities have left nothing to chance. The Kremlin hopes to avoid United Russia’s poor 2011 result by returning to an electoral system not used since 2003. This year, half of the Duma’s 450 deputies will be chosen from party lists; the other half will be elected in single-member districts using a first-past-the-post system. The overwhelming majority of the winners in these local elections are expected to be loyal Kremlin supporters. Still, the districts are the biggest unknown of this election — and look set to throw at least a few surprises. A selection of the most interesting battles follows. Voters in Saratov may be surprised to see Volodin’s name on their ballot. Perhaps the biggest mystery of this election is why Putin’s deputy chief of staff is running in the election he has been assigned to oversee. Russian political scientist Yevgeny Minchenko says Volodin may be running in order to prove he has done everything for the election to be as open as possible. Since overseeing Putin’s 2012 re-election, Volodin became the Kremlin’s chief election manager. His next assignment was to be the 2018 presidential vote, but this is now uncertain. Insiders say Volodin could be heading to the Russian parliament. Formally, chairing the Duma is the third most powerful job in Russia. But in practice, the position would move Volodin away from the real power: Putin. Crimea will take part in the Russian State Duma election for the first time since annexation. Kiev has urged Crimeans to boycott the election. The notorious, Moscow-appointed, Crimean leader Sergei Aksyonov tops United Russia on the peninsula. He will be joined, among others, by prosecutor-turned-celebrity Natalya Poklonskaya, a Kremlin-loyal Crimean Tatar, and an astronaut. In the single-member-districts, United Russia is putting forward three candidates. One is Svetlana Savchenko, a woman who bears the same last name as Ukrainian pilot and national hero Nadiya Savchenko. Crimea’s capital Simferopol is covered in posters of “our Crimean Savchenko.” The Crimean candidate herself admitted she was afraid to reveal her surname to Dmitry Medvedev during a recent visit to Crimea. The Russian prime minister tried to comfort her — “there’s nothing wrong with your name,” he said. In Sevastopol, voters will see a familiar name on the ballot papers. Here, Andrei Brezhnev, the grandson of the longest serving Soviet leader Leonid, is running for the marginal nationalist party Rodina. Unlike his grandfather, who led the U.S.S.R. for 18 years, Andrei Brezhnev has not yet succeeded in politics. In 1999, he ran in the Moscow region Duma elections, but received only 2.3 percent of the vote. He also unsuccessfully stood for Moscow mayor and governor of the Tula region. The younger Brezhnev is no doubt hoping for more luck in Russian-annexed Crimea, where Soviet nostalgia is being whipped up to rally support for the Kremlin. Yabloko, led by Yeltsin-era politician Grigory Yavlinsky, is the only party denouncing the Crimean annexation with an albeit tiny chance to make it into the Duma. Several human rights activists are running for the party in the provinces. Their most high-profile candidate outside Moscow is Lev Shlosberg, a journalist from Pskov who made headlines when he was badly beaten while covering the stories of Russian paratroopers who died while secretly fighting in eastern Ukraine. 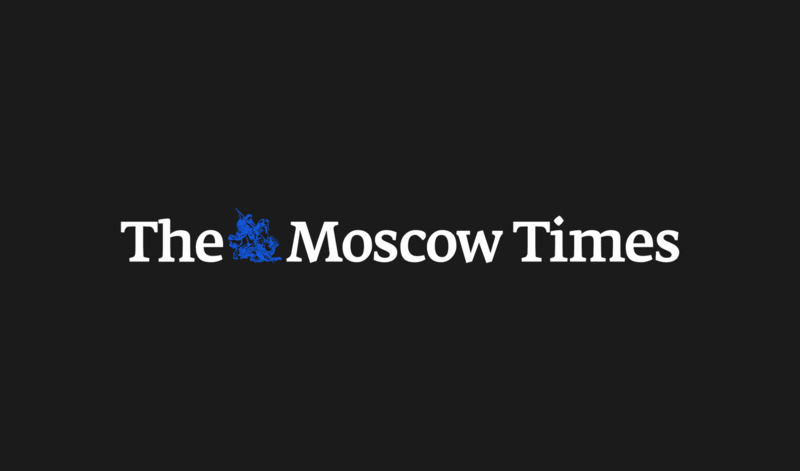 Shlosberg has since become a leading figure in Russia’s opposition: He was recently awarded the inaugural Boris Nemtsov Foundation prize for “defending the values of freedom and democracy in Russia” in Moscow. In his native Pskov, a small city on the Estonian border, Shlosberg gained popularity for his anti-corruption work as a lawmaker and is one of Russia’s few activists with a chance to enter the Duma. On Russia’s southern border in Krasnodar, environmental activist Yevgeny Vitishko, 42, is running for Yabloko. The geologist spent 22 months in prison for spray-painting graffiti on a fence on the eve of the Sochi Olympics. He was released in December 2015. “They wanted me out of the way: I raised inconvenient questions. And now I am back,” he told a local paper. In Ingushetia, a North Caucasus republic, Yabloko is putting forward veteran human rights activist Valery Borshev. A member of the Moscow Helsinki Group, Borshev has been campaigning against Russian military intervention in Ukraine. Most liberal eyes in the capital are on Dmitry Gudkov, 36, the Duma deputy running for re-election for Yabloko in a northern Moscow suburb. The son of Gennady Gudkov, a parliamentarian expelled from the Duma in 2012, he is known as the last real opposition minister in parliament. Gudkov has recycled the tactics of Navalny’s 2013 effective mayoral race: He is crowdfunding his campaign and documenting his finances on social media. Central Moscow, meanwhile, has become a battleground for two liberal opposition candidates. PARNAS, led by Kasyanov, has put forward academic Andrei Zubov in the city center. A philosophy professor, Zubov was sacked from Moscow’s State Institute of International Relations (MGIMO) in 2014 for comparing events in Crimea to the 1938 Nazi annexation of Austria. 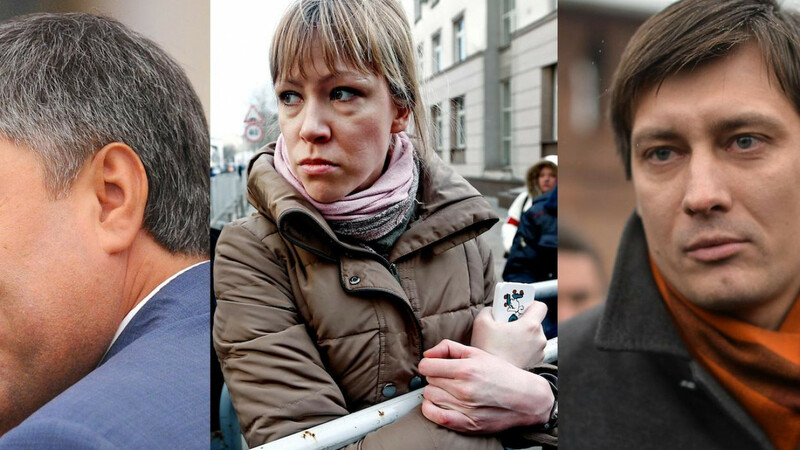 The professor is up against activist Maria Baronova, 34, Khodorkovsky’s candidate in central Moscow and a prominent participant of the 2011-12 anti-Putin protests. Neither stand a chance: A recent poll by Moscow-based, independent pollster the Levada Center showed only 2 percent of residents would vote for Baronova or Zubov. In competing against each other, the liberals are securing the re-election of United Russia’s veteran Moscow minister Nikolai Gonchar. United Russia will have a similarly easy ride across the country. In Putin’s 17th year in power, this Duma election looks set to be the Kremlin’s easiest victory. Other parties entering parliament make almost no difference. 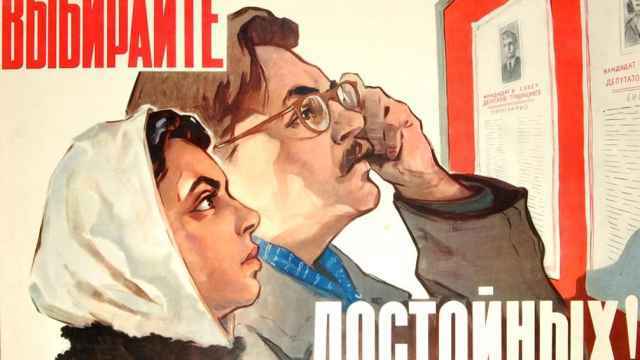 In honor of Russia elections on Sept. 18, The Moscow Times has compiled a selection of Soviet era campaign posters for your viewing pleasure.